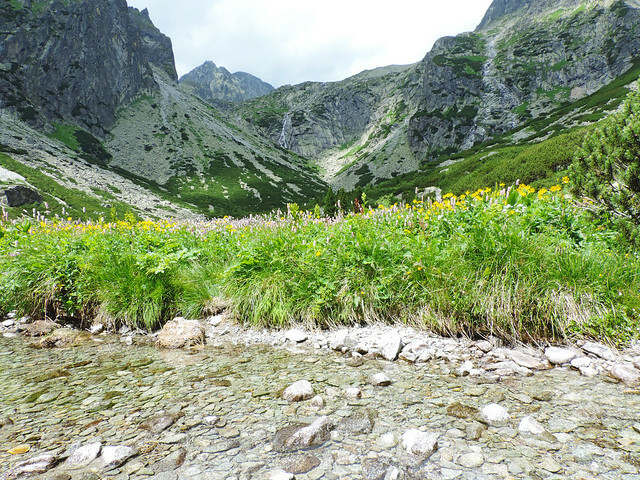 What does this have to do with our favorite day hikes in Slovakia’s High Tatras? A lot. Because that’s why we chose to hike through Small Cold Valley. We didn’t expect more and more breathtaking views and great challenges after each step like when we climb to a peak. We just wanted to enjoy all the small beauties of nature. But since our hike in the Cascade Canyon of Grand Teton National Park (far away from Slovakia, yes…) we already knew that valleys can look like paradise. 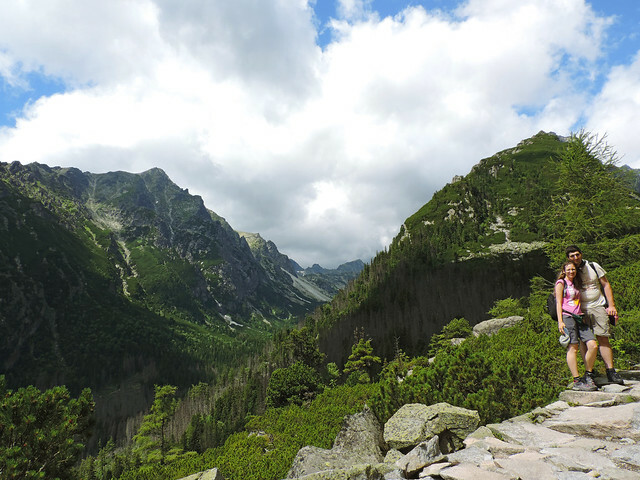 So we decided to visit one of the most popular valleys of the High Tatras National Park: Small Cold Valley (or Malá Studená Dolina is Slovak). And once we got there we thought why not make it a loop and visit Great Cold Valley (Veľká Studená Dolina), too? It could fit in one day. Yes, it did. It’s another thing that we wouldn’t do this loop again. But let’s stick to Small Cold Valley for now. Because it’s a fairy tale place and the trail through the valley is relatively easy. All the beautiful peaks surrounded us and we could just enjoy the views without climbing any peaks. Sounds like a tempting combination, doesn’t it? In addition, the valley is decorated by millions of wildflowers in summer and there were two waterfalls and a charming mountain creek on our way, too. The trailhead is in the small mountain village of Hrebienok. It can be accessed by funicular from Starý Smokovec or on foot if you follow the green route from Starý Smokovec funicular station (it takes about 45 minutes). Cars are not allowed to Hrebienok so we parked our car in Starý Smokovec and walked up to Hrebienok. The views were already spectacular from Hotel Hrebienok. 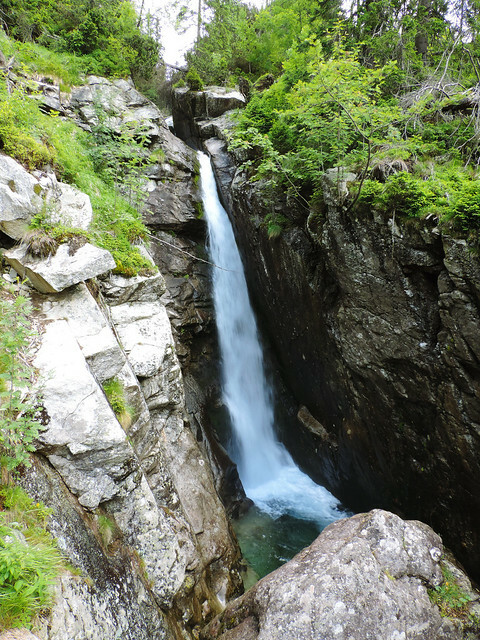 We headed to Small Cold Valley on a wide path and soon we crossed a lovely creek and got close to the first waterfall of this trail: Obrovský vodopád. 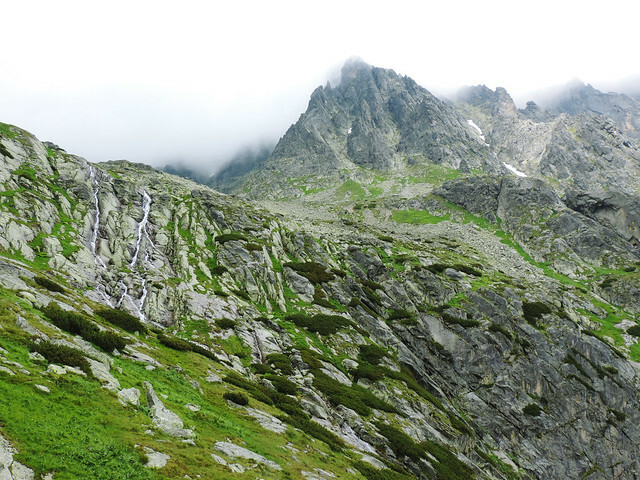 The second waterfall was actually part of our background view for almost all the way in Small Cold Valley. Just as the huge peaks towering above us. The valley was so beautiful that we didn’t turn back despite of a sudden heavy rain. We hoped it won’t last long and the weather will get clearer later. Well, that didn’t happen. Though the rain stopped but we got some fog instead. Dense fog. 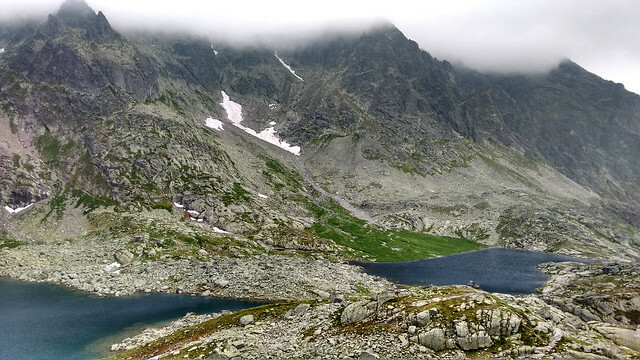 By that time we reached Térycho chata (chata means mountain hut in Slovak), the end of Small Cold Valley. 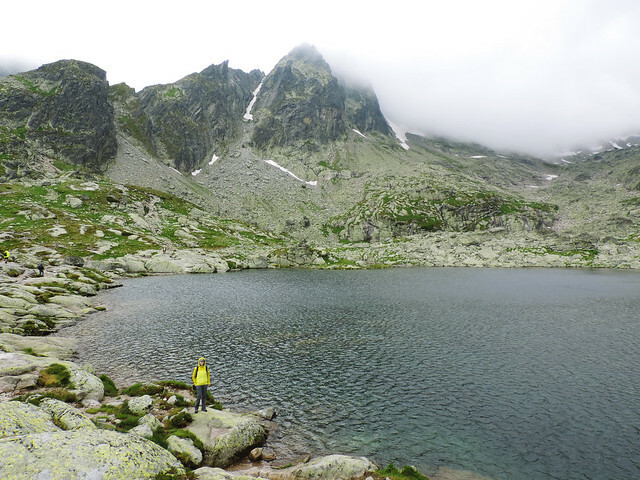 After warming up a bit we decided to go further: to Great Cold Valley through Priečne saddle. Bad decision. 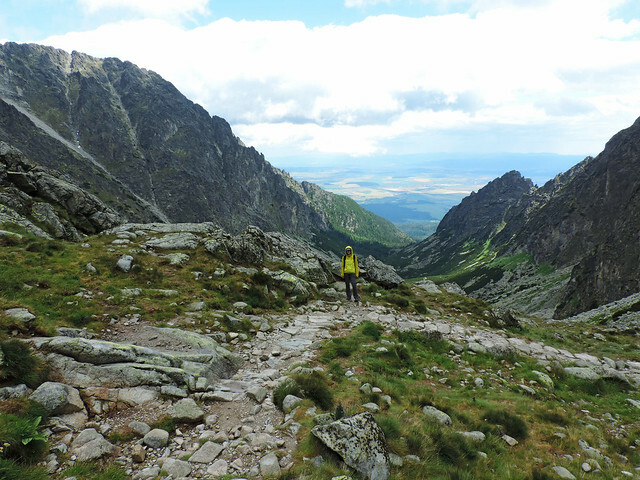 We knew that part of the trail through the saddle are secured by chains but from our previous experiences in the Tatras we didn’t expect anything really hard. It’s not Rysy or Kriváň peak after all, it’s just a saddle between two valleys. Looking back now this saddle was the hardest and most dangerous path we’ve encountered in the High Tatras ever. First of all, the weather was not good enough. Though it was not raining any more but the rocks were still wet and slippery. Plus, it was still foggy. That we should have known. But in addition, the trail through Priečne saddle was extremely steep and actually, we would rather call it a climbing route than a hiking route. This was the first chain secured route where we wished we could have climbing equipments, at least ropes. Because we didn’t feel safe. But once we started climbing up and realized that we most probably shouldn’t have done this it was more terrifying to think of climbing down than to reach the top – hopefully soon. It didn’t feel soon but fortunately we reached the top and the other side (downhill) was not so steep. Then the chains ended and a beautiful lake appeared below us. We felt relieved, hugged each other and both of us agreed we are crazy. As we entered Great Cold Valley our welcome was foggy and windy. It was also drizzling from time to time. Maybe that’s why these two stunning valleys are so different in our memories. Small Cold Valley is a charming, colorful, fairy tale place while we remember Great Cold Valley as wild, unfriendly and spooky. And very cold. There should be a reason for its name, I guess. But it could be just as lovely in sunny weather as its smaller sibling. After doing the loop through Small Cold Valley and Great Cold Valley our opinion is that we wouldn’t recommend it for hikers. For us the meaning of hiking includes the fact that our feet can be on the ground and we don’t just hang in the air holding a chain. The route through Priečne saddle seemed more of a climbing route than a hiking route to us and we have no desire to do it again even in perfectly clear weather. The two valleys are beautiful and not very difficult, but we would recommend exploring them separately. 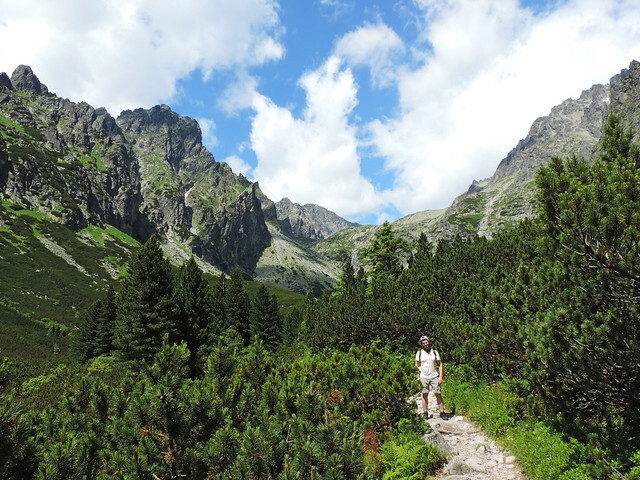 Hiking season in the High Tatras is summer and the trails are usually open from the 15th of June to the end of October. Weather is very unpredictable though so you better dress in layers and have waterproof hiking boots (and whatever else waterproof stuff you wish). The trailhead is in Hrebienok and there’s a bunch of towns which are very close by car – like Stará Lesná, Nová Lesná, Tatranská Lomnica and even Poprad, the biggest city in the region. All of them are 10-20 minutes drive from the trailhead. If you don’t have a car (or just want to stay right by the trailhead) you can book something in Starý Smokovec and use the funicular from there. 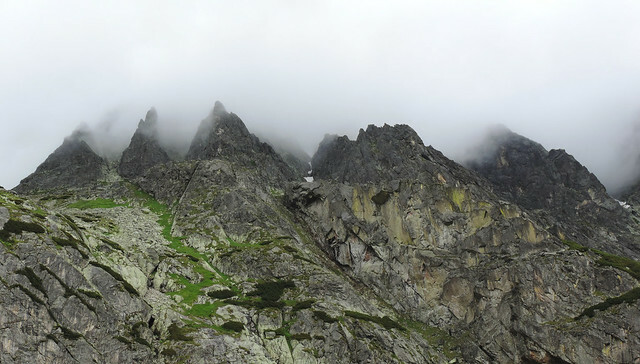 Have you ever been to the High Tatras? Do the Cold Valleys look tempting?